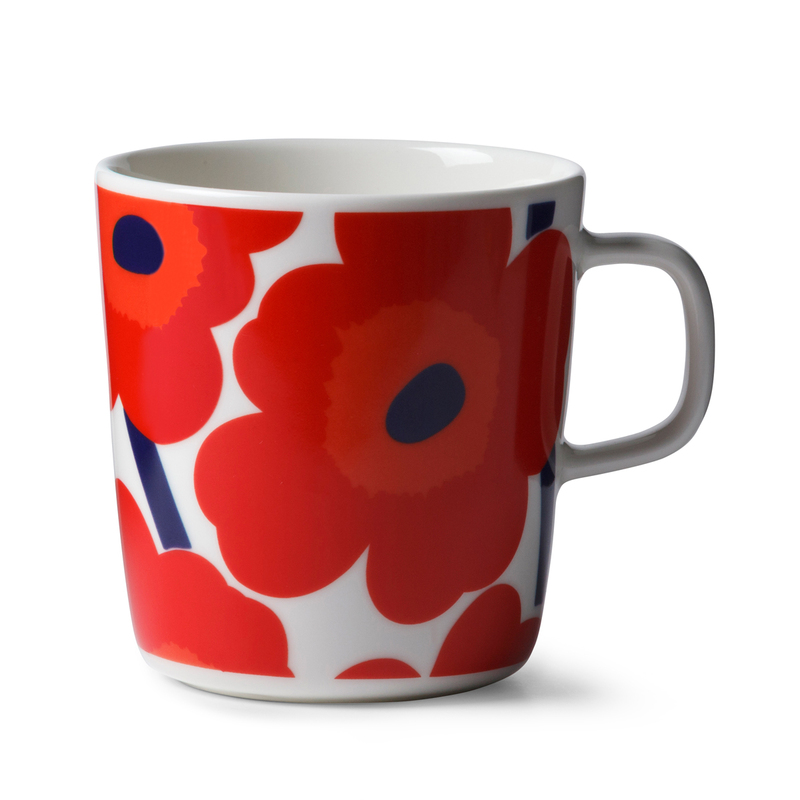 More about Marimekko Unikko Red Large Mug Hold 13.5 oz of your morning coffee, afternoon tea or late-night hot chocolate in the Marimekko Unikko Red Large Mug. 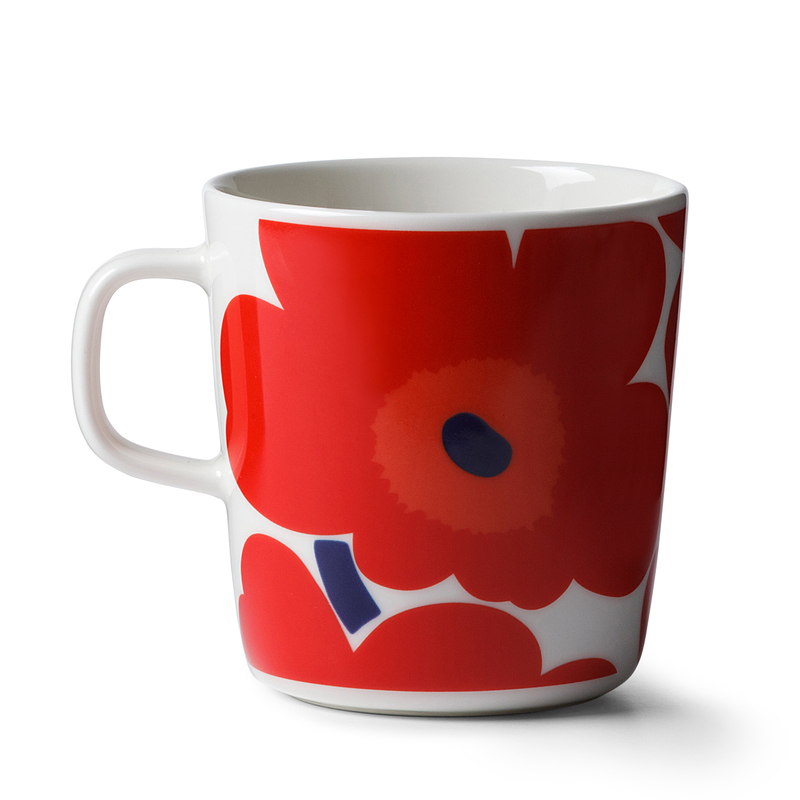 The porcelain piece is adorned with the classic red poppies of Maija Isola's Unikko pattern. Though bigger than the standard Marimekko mug, it is microwave, oven, freezer and dishwasher safe like the rest of the practical and beautiful Oiva dinnerware line. I love my Marimekko collection of mugs, all different colors. Good quality and I like that you can get the larger sized coffee mug. Same Unikko Red pattern in a normal American sized coffee mug! I love the bigger Unikko cup! 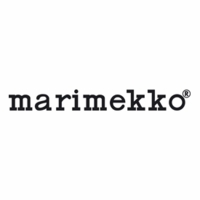 Thank you Marimekko for making your cups bigger! You read my mind. The handle is bigger so my fingers don't touch the hot cup. I appreciate it! 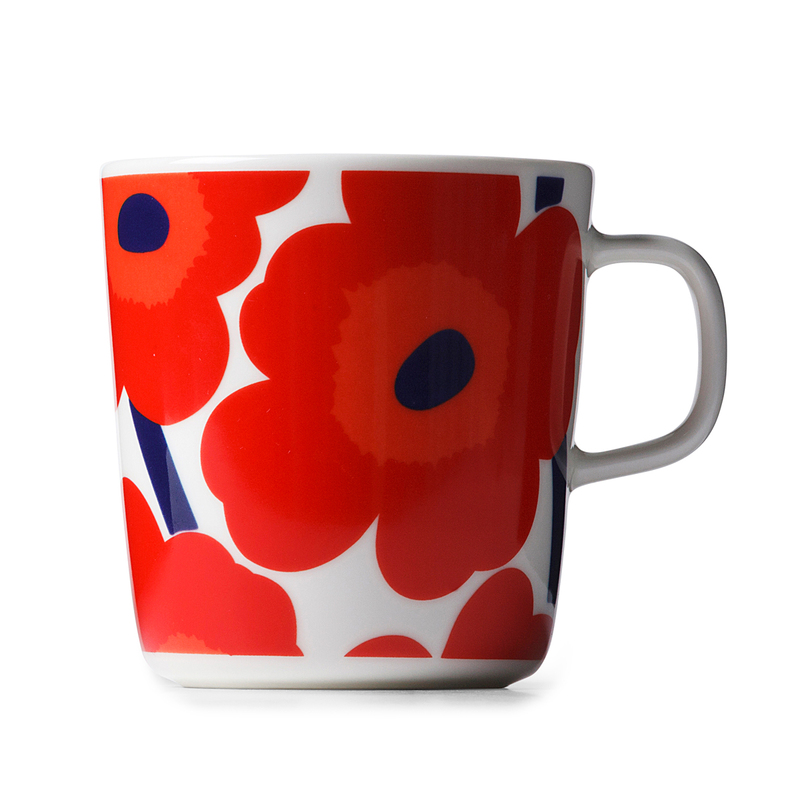 This mug is in my favorite Marimekko pattern, so I have enjoyed looking at it and using it. The size is good, but the handle could flare out more, because it's difficult to balance when full. And with hot liquid, I'd prefer to keep my fingers farther away. That's not a showstopper, though. I have been using my two mugs for approximately two weeks. I would wish the handle was a little larger so more fingers would fit through. They are large mugs and when filled with coffee are quite heavy. I find I have to support the mug with a finger on my other hand to make sure it doesn't tip and spill. I love the mugs and I do not mind making this adjustment.